Those who know about Sister Rosetta Tharpe celebrate her legacy like a wondrous secret. She is remembered today not only as the Godmother of Rock 'n' Roll but also as a force to be reckoned with. The gospel singer captured the hearts of many with a flamboyant personality that radiated on stage as she sang and her distinctively quick fingerpicking style that would influence guitar legends like Chuck Berry, Little Richard, Johnny Cash, Eric Clapton, and Elvis Presley. But Sister Rosetta Tharpe wasn't only about the stage show. She aimed to challenge her fanbase by using both suggestive lyrical content in the context of gospel songs and by using religious lyrics in the context of rock 'n' roll. Straddling the line between secular clubs on Saturday nights and church services on Sunday mornings, she managed to be an inspiration to both the sinners and the saints. Tharpe was born in Cotton Plant, Arkansas in 1915 and picked up the guitar for the very first time four years later. She toured with her mother in a gospel troupe around the country until eventually settling in Chicago, where her talents were praised and treasured by the church community. When she recorded her first smash hit “Rock Me” for Decca Records in 1938, the religious fans were appalled by the sexually suggestive lyrics. It was the first song ever described by a music journalist as being a “rock 'n' roll” song, and her 1944 album Strange Things Happening Everyday is often credited as the first rock 'n' roll record. Tharpe’s playing showcased the guitar as an extension of herself. The jangly licks acted as a call and response to her singing. She used passionate variation in a way that seemed almost instinctive, though every note was packed with purpose. She would hover her arms in the air as if possessed by a higher power before returning to her guitar, bending her strings with melody-driven, pulsating riffs that left listeners in awe. Sister Rosetta Tharpe would wail, and her guitar would wail right behind her. While shredding in front of clapping choirs, her tone went from clean and twangy to distorted and full. She was most often seen playing a white Gibson SG in later years but used a variety of archtops and acoustics earlier in her career. She pushed her volume as loud as possible and rarely sang while playing, so that her guitar and voice would be distinguished on their own. From her expressive hand motions unapologetically interrupting her guitar playing to her honest, exuberant and direct facial expressions, Tharpe had a knack for captivating an audience with animated onstage performances. She often sang directly up at the sky, her shoulders lifting as if with goosebumps from conversing with a higher power, before returning to dazzle the crowd with her fast-paced, blues-inspired lead lines. Tharpe quickly became the nation’s first commercially successful - albeit controversial - gospel singer. It wasn’t just that most gospel singers at that time would never windmill their guitars. Her life offstage also didn't always adhere to the norms of her church. 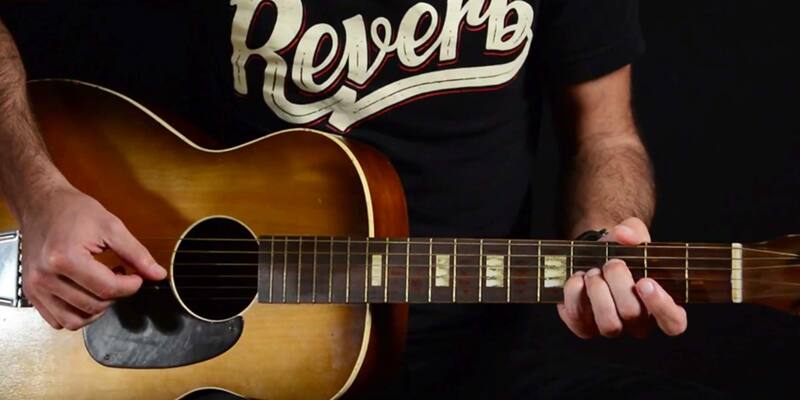 Watch our video lesson and learn some motifs from the father of the Mississippi Delta blues, Robert Johnson. Selling your soul not required. Tharpe toured around the world until her later life when she suffered two strokes, ultimately passing away in Philadelphia at 58 years old. Her line-walking lyricism helped her to bridge the gap between gospel music and rock 'n' roll decades ago, and her following remains spread out between fans of both genres. 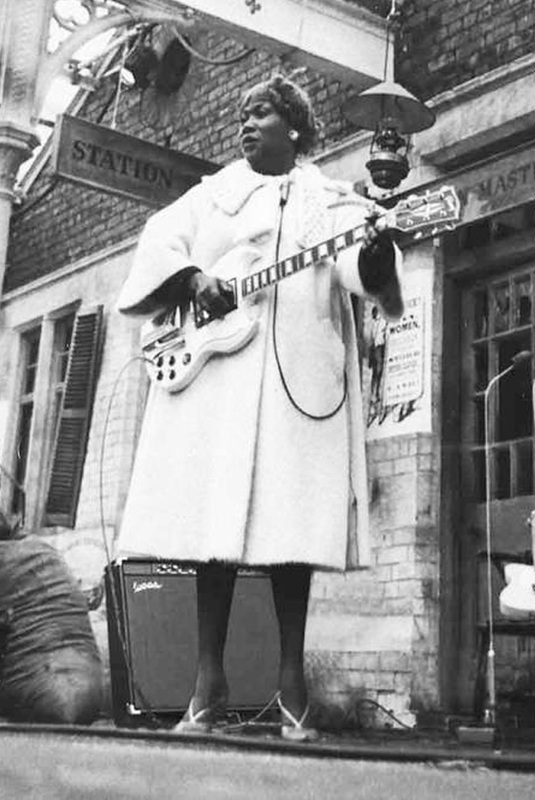 Sister Rosetta Tharpe’s headstone now reads, “She would sing until you cried, then she would sing until you danced for joy," acclaim that transcends any barrier-breaking or amount of influence.